The decisive factor when it comes to evaluating the performance of a computer is the amount of operations per second that the processor is capable of completing. 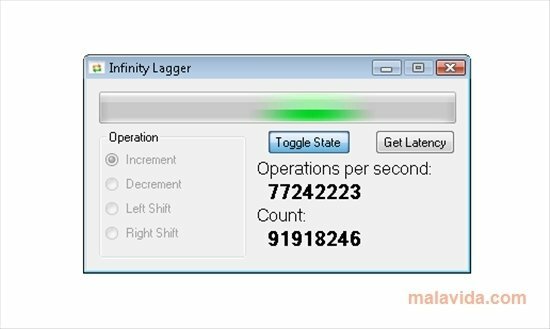 Infinity Lagger is a simple application that show this information instantly. Once the application is launched, simply press the “Toggle State” button to start or pause the measurements, you will receive all the results immediately. Alternate betweeen the different typs of operations to option your new performance data. 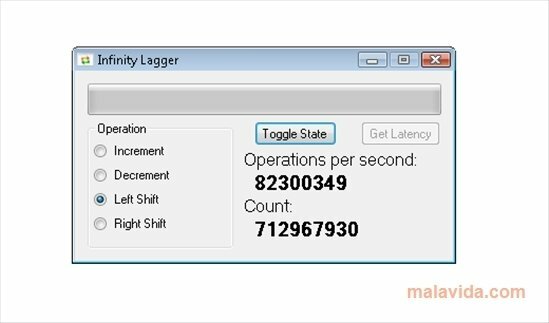 If you want to test the performance of your processor download Infinity Lagger free. You will be bale to know how many operations per second your computer carries out and check the data with old computers for example.